We provide Photo Restoration services at our photography studio in Columbia, MD. Trust us with your old photos. I have the experience to know how to handle your favorite old photographs. I will select the best method to use when copying your treasured pieces. Some photos can be scanned, but others need to be photographed with a high resolution camera and filters to bring out as much detail as possible. Restoration work is not done on your original photograph. All work is done on the copy. Pricing is determined by the amount of work that needs to be done. When you bring your photo in for review, I will give you a quote. We will discuss what can be enhanced, what can be repaired and what might need to be replaced. There are many different techniques used depending on what your original image needs. 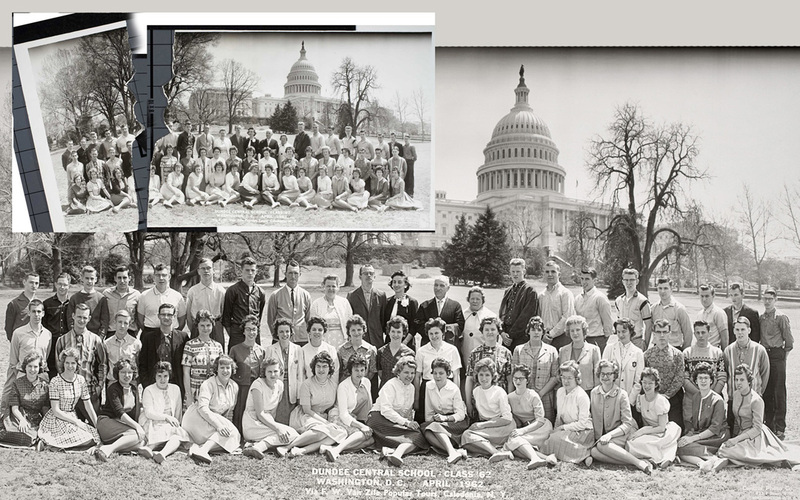 The best photo restorations are made when each step of the process is done the correct way. We do all the work in house. The first step is making the best possible copy of your original. Then our in house artist makes all of the enhancements and corrections. The last step is making great final prints. Your original is always handled with great care. We have been restoring photographs for over 40 years and have the expertise needed to create the best possible restoration. A copy of a photo; with minimal enhancing and including an 8x10 print starts at $39. All services by appointment only. Click to learn more about James Ferry and his family portrait photography.